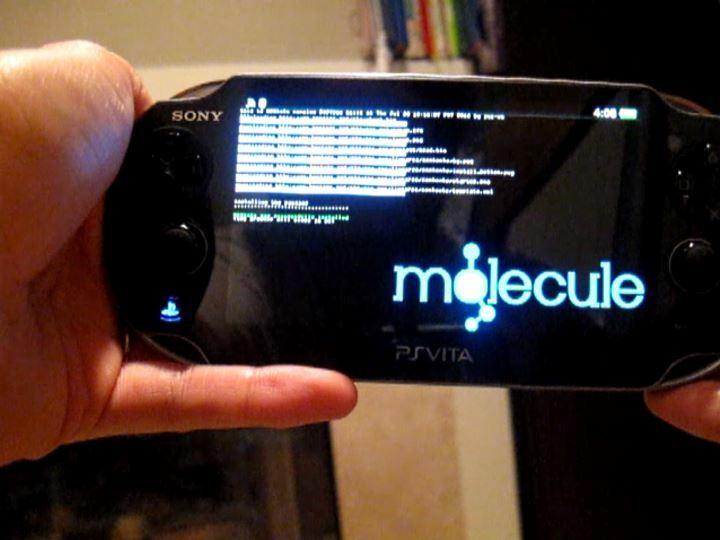 The PS vita 3.60 Exploit announced yesterday by Team molecule (Yifanlu, Davee, Proxima, xyz) is now out. You can also check our HENkaku FAQ here. Need more help with HENkaku? We opened a HENkaku subforum on /talk to discuss issues, etc. Get help from the community! Press “OK" and try again. If the browser crashes more than three times in a row, you can quit the browser (Press the PS button and swipe the LiveArea page from the top right corner or hold the “O" or “X" button depending on your region). Then you can re-attempt installation. Press “OK" and try again. If this happens more than three times in a row, you should reboot the system and try again. Please report success/failure in the comments below, and feel free to share homebrews that work in the /talk section! Tried it. It’s awesome! I really hope eCFW comes out after this. One thing that makes me wait a bit is if this can actually make Sony ban your psn account… Any reports on that? That’s something that has been explained in great detail. As with Rejuvenate in the past, no banning ever occured; but that doesn’t mean the risk of being banned is totally eliminated. Install HENkaku at your own risk, but generally I believe you have nothing to worry about based on the community statistics. Think about it though, why would sony ban you for hacking a console they pretty much stopped supporting especially considering that most people who own a vita also have a ps4 so that would make no sense for them to ban people this late in it’s lifecycle. That Sony stopped supporting the console is not a good reason, because to some extent, they still do. Exploits are fixed within days with a firmware update. You forget…..this is Sony we are talking about remember lol, alot of their actions never make sense. Well if they do decide to ban people it’s their loss in profits as people still buy stuff on ps4 via digital so it would be a stupid decision on their part especially since they have yet to ban a single person for hacking on the vita. A rather stupid question, but does HENkaku replace any system OS files or does it *just* install the shell app? What I mean by that is, if I want to uninstall HENkaku, all I need to do is delete the shell app, right? It does not replace any OS files. It’s a temporary homebrew enabler (HEN), so what it does is inject the exploit into running memory, and then install molecularShell if it’s not present. (you need molecularShell to serve as the FTP host for uploading VPKs). So yes, if you want to uninstall HENkaku, all you have to do is reboot and remove the shell, along with any other VPKs you’ve installed. Thanks alot man! Glad to know that! How do i get emulators to work now? I just have to say, this is amazing. Getting Rejuvenate to work in the first place was a major breakthrough on Yifanlu’s part, but HENkaku is so much nicer, so much more clever. A browser based exploit that allows for what amounts to a lightweight jailbreak, complete with Vita app bubbles? I can’t even begin to imagine how much polish it took Team molecule to put this all together. And that doesn’t even factor in the effort required to debug and test it without the infamous Vita scene leaking it well in advance. It worked for me! Had to exit out of my browser and reset my Vita the first time but it installed correctly the second time. I couldn’t try any home brew as I had to go to work but it launched without any fuss. Can’t wait to see what home brew comes from this! But no problem for me, i have two Vitas, my OLED at 3.60 and my LCD at 3.18. When HENkaku is really as good as it sounds than I will update my 3.18 to 3.60. But still, I’ve bubbled-up the Package Installer, and had installed VHBL xD. Congratulations once again for YifanLu Davee, Proxima and xyz – the Molecule Team!!! Now is time to take the dust from my Vita! Now someone please port MAME for it! Hello there! Should I update from 3.15/3.18? im on 3.20 too and im waiting for support on lower firmware. Not working for me. The welcome to Henkaku message appears, but the browser error appears everytime after that. I rebooted my Bita 5 times already, but no luck. Works fine on slim 3.60? Wololo, I’ve spoken to Xperi and XYZ but I did not get info fro YiFan. But as far I know this is probably for sure a kernel exploit. HENkaku have same limitations as Rejuvenate was in reference to used CPU speed so it is limited to 444 mHz so it could be based on PSM platform as “Rejuvnate”. I know that they will not write and tell to normal user as me about technical ref. of exploit but they probably wait till $ony patches it. But I wanna know if you will talk with him ask him if this exploit will or have privileges to “touching” OS shell. I think that having full CPU speed control (as far i know vita have 1 gHz per core) and having more juice will be great for homebrew development. I think it will be good to know what this exploit can to do or where it will fail. I installed it. Worked perfectly but I do not have any homebrew thus unable to test the real power if it. Is PSP ISO consider homebrew? Just asking please do not hate. Tks!!! And great work henkaku! Keep at it. The exploit is a bit fussy and doesn’t inject correctly 100% of the time (probably due to ASLR) so you may have to reboot and do it several times to get it to take hold. The good news is that once it does work, you shouldn’t need to reboot your Vita again any time soon. Got mine working after needing to reset once, works like a charm now. Thanks Yifan Lu Davee, Proxima and xyz for all your hard work coming up with this great exploit! Can’t wait to see what comes from this. So its a install and you keep it after you turn the vita off? Or do you need to go to the web page every time to run the hack? This is a temporary homebrew enabler (HEN), so what it does is inject the exploit into running memory. That means that as long as the Vita stays powered up (or sleeping), the exploit stays in memory. But once it’s rebooted you lose the exploit and need to HEN it again. There’s next to no reason to ever reboot the Vita since it sleeps so well, so you should be able to HEN it and then go for months without a reboot. I get nothing but errors. I get a popup saying “Welcome to HENkaku” then another popup saying “an error has occurred” then repeat over and over. Rebooted twice already and still same error loop. Any Thoughts ?ideas ? I use to use that memory card on ps vita and ther was ark installed now its in my pstv could that couse the error? did on and off few times not worked. Finally got it working after the 4th reboot. Can we instaall on a lower fw if not why? No. The exploit has to be customized for each firmware version. While it’s possible to port the exploit to a lower firmware, it’s a massive amount of work, and there’s little benefit since the farther back you go, the fewer Vita retail games that work. If you get C2-12828-1, rebuild the database and try again.. If you get the same error again just try it again, it works then… I installed on my Vita after rebuilding DB, on VitaTV a rebuild and two times installation required to complete molecular install..
u might be able to dll it from sony’s website and update using cma at a later date. Handy vita works as well as doom vita others are through vhbl of course. So what happens if Sony tries and gets the website taken down? Henkaku to be the shortest lived hack ever? No worries. Website is open source on github. Cool cool. Thanks for the response. Nice to know. if i’m using the psmunity hack on 3.52 should i upgrde to 3.60 for HENhaku?